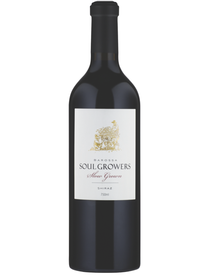 Soul Growers Society Wine Club. An easy way to enjoy our award winning wine, delivered to you every three months. The essence of what we strive for is to ensure a lifestyle that is good for the Soul; wine, food, family, music, mates and fun. The plains of Ebenezer have yielded small crops of intensely flavoured Shiraz grapes for many years - and the Hoffmann’s have been a part of the local northern ground landscape of the Barossa Valley for 6 generations. So typical of this little patch of grape paradise, it shows the concentration and weight of tannin expected from this patch of ground. Dark black and blue fruit, a big spicy smile, subtle French oak that compliments the spicy notes and a finish that goes on and on. Firm and fleshy, full flavoured and friendly. Cellar for years to come if you want, or dive in now and see the brightness of youth.